This is a great ashtray. They are so hard to find nowadays and this one does the job at an inexpensive price. Features a polished finish with a removable basin and triple cigarette rests. 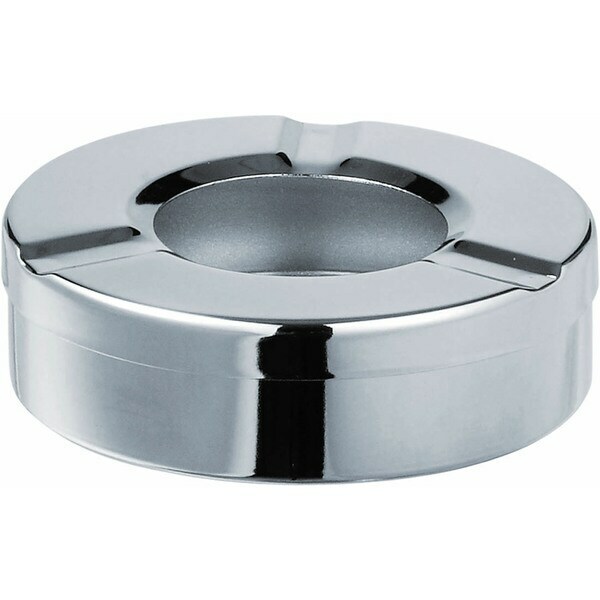 Elegant ashtray that is easily cleaned and put away for the next use. I bought two of them and will likely buying a few more. These are great for outdoor use, you don't have to worry about them rusting or breaking and they clean easily. The top comes off so you can store a lighter inside if you like. Contemporary and keeps ashes inside. It is pretty small but doable.